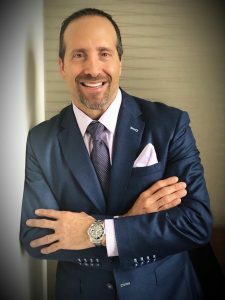 Marc Demetriou isn’t just a top producer, he is also a member of Mortgage Professional America’s Hot List for 2018, a branch manager at Residential Home Funding, mortgage expert, speaker, and author of “Lessons from my Grandfather: Wisdom for Success in Business and Life,” in which he shares how everyone can be successful and is entitled to lead their best life. Demetriou speaks to mortgage professionals as well as to accountants, attorneys, realtors, insurance agents, and other professionals in various industries about ways to be more successful in business, how to grow their networks, who to target for business, and how be a self-motivated lead generator. “I enjoy giving back and if I can give them insight to be successful in business and life then it will help them to live their very best life. The more people you help the more rewarding your life will be.” Demetriou said. All of the non-mortgage professionals in his audiences are also potential clients and/or referral sources. This is just one of the many examples of something that Demetriou is doing that other originators, even the successful ones, are not; continuing to grow a contact database, which is so important for success in any business as well as for assisting others with strategic connections. Any business you have today isn’t guaranteed for tomorrow, so stay focused on going narrow and deep as well as continually adding to your database and building new relationships. You don’t need to have 10,000 relationships, but the networks of your current partners are continually expanding, and by extension, yours should be as well. So meet with your referral partners often and discuss ways that you can connect each other. And don’t forget – it’s about asking how you can help your partners. You might not be able to bring them clients, but think and ask, how can you connect them to your network? Who will be the best people to bring them business? “It’s all about bringing value. So when you build relationships one day at a time and one person at a time, it’s the value you’re bringing to each person. I have been in this business for 13 years and have thousands of people that think of me as a value provider and also a resource for their clients. This is the mindset. It’s not brain surgery,” Demetriou said. Demetriou’s goal is to break $100 million in personal production for 2019.